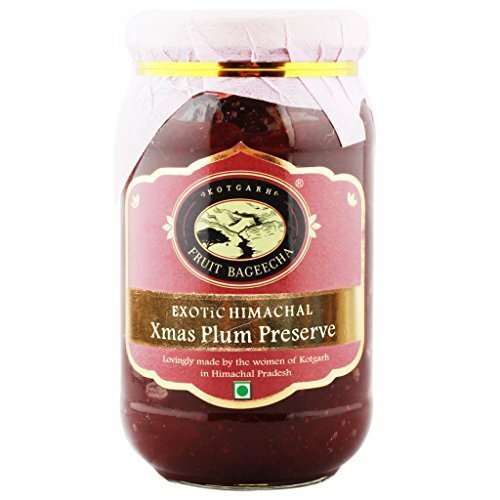 Our Xmas flavoured natural Plum preserve is all about plum, sugar, spice and everything nice. Its aromatic irresistible taste enhances and elevates your senses and lingers in your mouth and leaves you craving for more. Our X?mas flavoured natural Plum preserve is all about plum, sugar, spice and everything nice. Its aromatic irresistible taste enhances and elevates your senses and lingers in your mouth and leaves you craving for more. You could add it to yogurt, ice cream, sorbet or spread on toast. Contains 50% fruit content. No colour or flavour is added to this product.